Mumbai, November 04, 2015: An evening of food and laughter, the who’s who of the F&B Industry made it to the launch of Celebrity Chef Rakhee Vaswani’s first ever cook book ’Picky Eaters’ at China House, Grand Hyatt today. 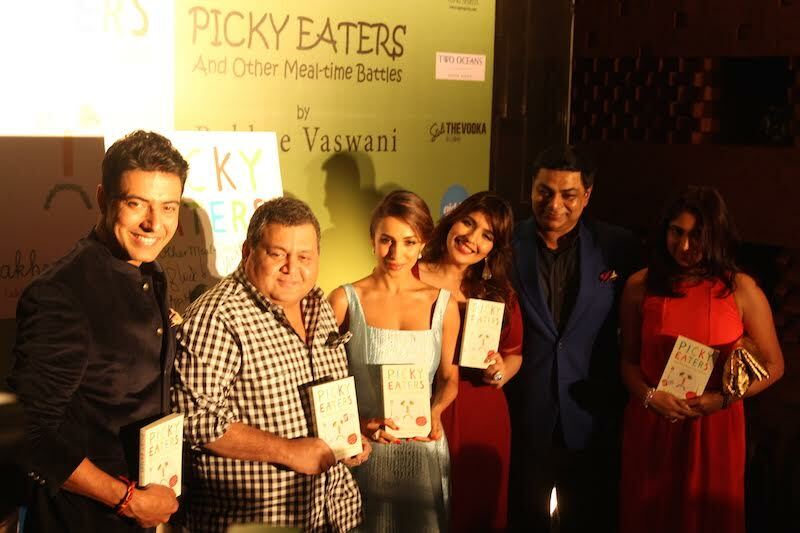 Unveiled by the gorgeous Malaika Arora Khan, yummy mummy of a picky eater herself, the book launch was a huge successamidst much celebration, fanfare and free flowing food and spirits! ​​Another highlight of the event was an interactive, fun, panel discussion with Malaika, Chef Rakhee, food expert Kunal Vijayakar, masterchef Ranveer Brar and the brilliant Radhika Mukherjee, owner of The Big Red Bus and singer Shaan’s wife. Not only did they speak about the book but also shared their personal experiences with Picky Eaters and their most cherished food memories. This was followed by a entertaining rapid fire session that could the crowd in splits! Also present at the launch were industry stalwarts such as Saransh Goila, Vicky Ratnani, Kshama Prabhu, Tanai Shirali, Rushina Munshaw Ghildiyal and popular celebritites like Mansi Joshi Roy, Gauri Tejwani, Shaheen Abbas and many more! ​ "Picky Eaters" exist in every household. This book aims to be your one stop guide for all the Pick Eaters in the family making their food delicious and ready to devour! It is not only for kids but also adults who love their food alike! Picky Eaters is now available at all leading bookstores and online portals. Learn how to make everyday food fun, exciting and yummy for your kids. Does your child revolt at the mere thought of eating greens? Are you running out of nutritious lunch-box ideas? In Picky Eaters, celebrity chef and culinary expert Rakhee Vaswani guides parents and kids on how they can make everyday food healthy, yet yummy.